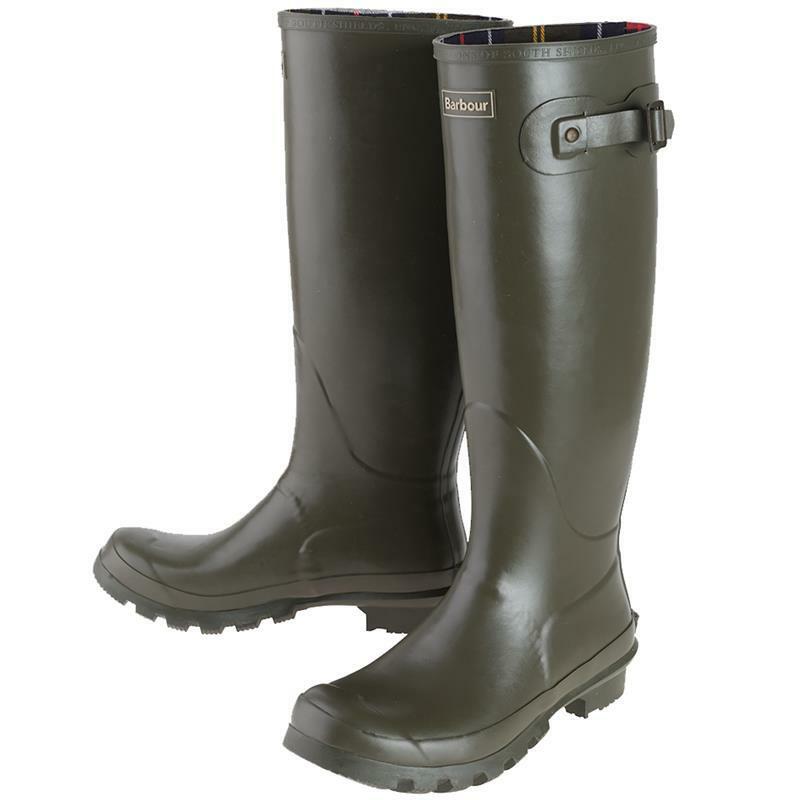 Barbour Ladies Bede Wellington Boots - Olive. Updating Barbour's classic wellington boot with a host of extra-special details, the Bede wellingtons are a footwear essential, perfect for those rainy days and the occasional muddy festival. These hard-wearing wellington boots are made with a vulcanised construction for durability and features a subtle rear kick spur for easy removal, durable non-slip sole for excellent grip and a handy adjuster strap to the leg. The cotton twill lining carries Barbour's signature tartan, and 'J Barbour & Sons' script binding decorates the topline. Gender: Ladies 4 - 8.